Advanced - This feature is only available to Advanced subscribers. To upgrade to an Advanced subscription, please click here. 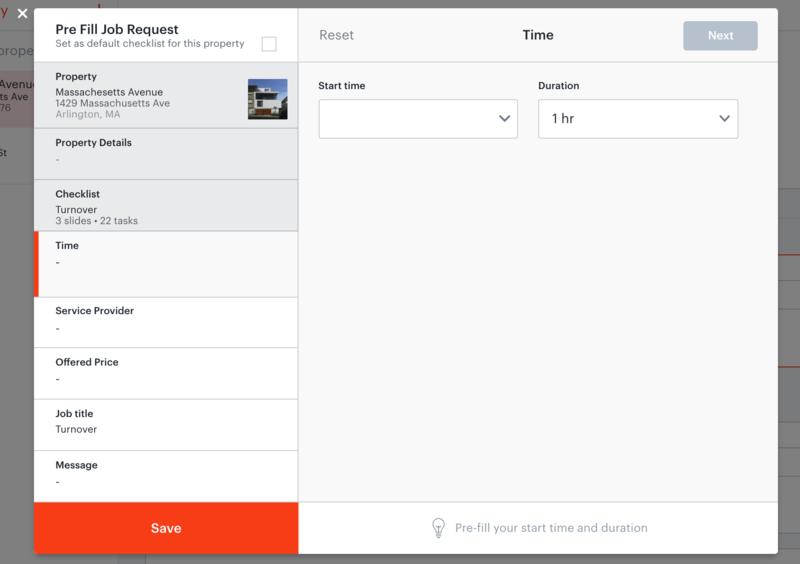 To make scheduling even easier, you can set up reminders to automate the checklists for your properties and pre-fill job requests so you don’t need to fill them out for each job. Reminders are automatically triggered at check-in or check-out for the properties you select. Reminders appear in your to-do list when they’re triggered by check-in or check-out. Give your reminder a name and select when to trigger it: at check-in or check-out. Then select the type of action you’d like to remind yourself to do. Your actions include all of the checklists for this property. Once you select a checklist, the option to pre-fill a job request will appear. Select pre-fill job request and fill out the job request form as usual. You will not be asked to fill out a date for the job request, since you won’t know in advance what date you need the job for. You will be asked for the time of day you’d like the job to be performed, which service provider you’d like to send it to, and all the other job information for a normal job request. When your reminder is triggered, it will appear in your To-Do list. All you need to do is select the date for that task and send it. 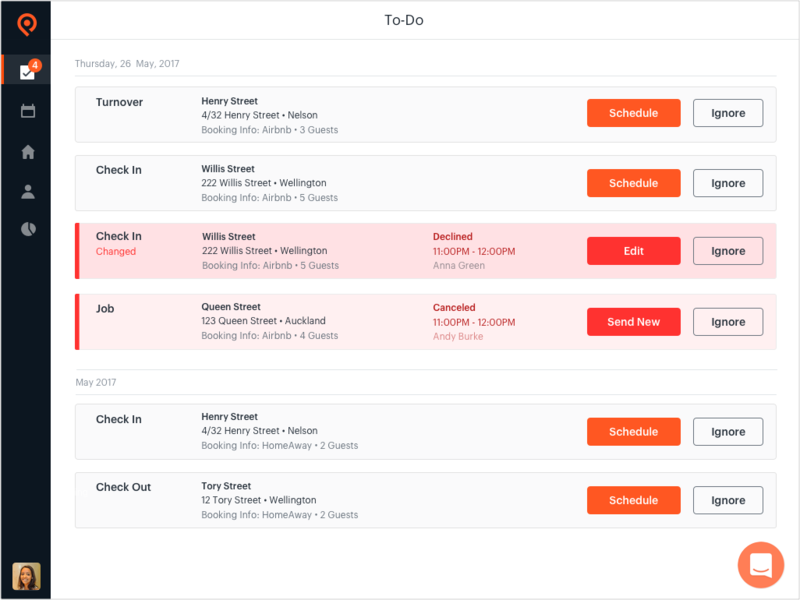 Scheduling couldn’t be easier!